Made in France from 100% natural ingredients, this chocolate is produced using traditional chocolate-making techniques, resulting in authentic taste and exceptional flavors. This gift box features 32 small chocolate squares with wrappers designed by international illustrators. Contains milk chocolate, dark chocolate, milk chocolate with caramel, and dark chocolate with salt. 5.64oz total. 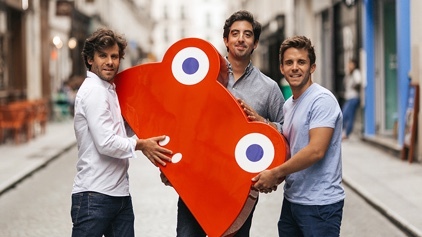 Le chocolat des Français was launched in 2014 by Matthieu Escande, Vincent Muraire and Paul-Henri Masson—three friends united in their love of chocolate. The trio searched for the best French artisans and ingredients—many of which are sourced in France—and utilized traditional techniques.